Air-conditioning noises can indicate proper operation as well as an indication there’s a problem developing or present. At times, I’m asked to listen to a certain noise the air conditioning system is making and provide feedback about what it means. In this article we’ll discuss both sides of the subject. This will include normal noises you should hear from the system when it’s working properly, but first we’ll tackle the bad sounds that should be investigated further. Most people are interested in the noises their system shouldn’t be making. They’re rightfully concerned the issue could be one of the top three worst AC problems an older car can have. Squealing sounds are perhaps the most common complaint from drivers. In this situation the serpentine belt is often the culprit. These belt noises can sound like a major problem and are sometimes mistaken for bearing failure. It’s tempting, but not recommended to use belt dressing for diagnosis, because it contains oils that can damage the rubber. Instead use a high output spray bottle of water and carefully spray the belt to see if the noise disappears. If it stops squealing when wet this is an indication it needs further inspection. 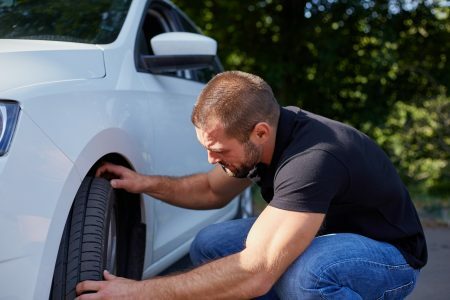 A worn or stretched out serpentine belt along with a malfunctioning tensioner are some of the problems that can develop with an air-conditioning drive belt. However, poor quality parts can make a racket all on their own. 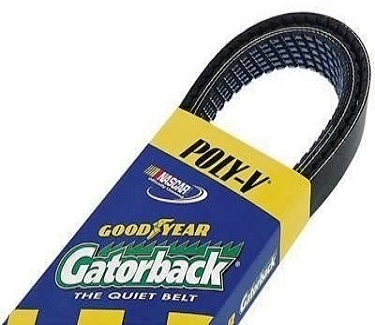 I prefer to use Continental Elite or Goodyear Gatorback engine belts with quite technology when replacing parts. Bad compressor pulley bearings can also make noise. In this situation it increases when the compressor clutch is engaged. Determining the difference between belt and compressor problems can be tricky. If the belt is old you might consider replacing it for maintenance reasons and see if it solves the noise problem. If you need more information on this subject I have posted some diagnostic information and several popular drive belt diagrams on my other site. When in doubt seek professional diagnosis. When we talk about AC compressor noises we’re discussing sounds it can make when the unit is engaged. If the Freon has leaked out, it won’t turn on, so nothing is moving inside. In this scenario people might try adding refrigerant on their own. Then when the unit kicks on they could hear a noise. A buzzing noise from the compressor when the air-conditioning clutch is engaged is a sign of an overcharged system. 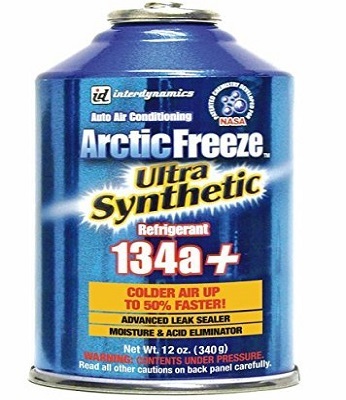 In this situation the buzzing sound is caused by liquid refrigerant entering the compressor intake port. Of course, this problem is most common after an air conditioning service when too much Freon has been added. When this is the case it needs to be corrected as soon as possible, because it can cause internal damage. Replacing a car air-conditioning compressor is expensive and harder than it looks. Also note the AC will not cool properly when it’s overcharged. Next up is knocking or clicking sounds while the air conditioner is running. This is often caused by loose mounting bolts that secure individual air-conditioning components. This isn’t as common as the above conditions, but I have found this issue more then once. You can literally stand back and see the loose component shake and move when the engine is running. Nevertheless, this may actually be the best case scenario for car owners when it comes to air conditioning noises. Tightening a few bolts and adding some thread locking compound will solve the problem for good. Many times a friend or customer will ask me to come listen to a strange hissing sound when the automobile is turned off. Naturally, this is after running the system for a while on a hot summer day. Although this hissing noise, sounds like a bad noise, it’s actually a good air conditioning noise. The hissing sound is caused by equalizing pressure. When the car AC system is running there is a high side and a low side that’s divided by either an expansion valve or an orifice tube. These two separate sides of the system are necessary for proper operation. 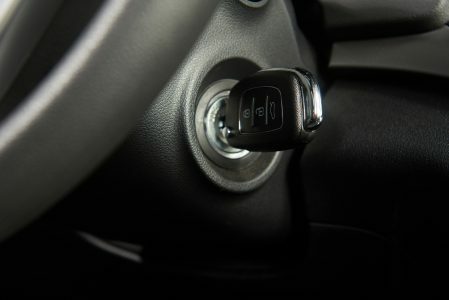 When the vehicle is turned off or the air-conditioning compressor clutch is disengaged the system will equalize the pressure. The hissing sound is the Freon from the high pressure side slowly feeding into the low pressure side and this is completely normal. Another good air conditioning noise is the roar of the condenser fan. When the AC is running the condenser fan will pull additional air through the radiator and the condenser, removing heat from the freon gas and returning it to a liquid state. This can cause additional noise that’s not present when the system is turned off. Often this additional noise is sensed as a problem by the driver as it can be quite loud. You can check with your auto mechanic to make sure that this is a normal condition. Favorite or show friends this air conditioning noises page. I recommend that you take a few minutes to learn more about your air conditioning system from my free articles available on the you fix cars website. This next link will take you to the beginning page for this section from this page about air-conditioning noises. The homepage is a good place to find out what’s covered on the website. Learn about how to get your DIY auto repair questions answered.